I love st louis' wings. On tuesdays they are half priced! The avocado looks so good.. very ripe and green! Very cute! I wonder if it tastes as good as it looks. wow this looks so good. done medium.. just how i like it! What is this? a fish? looks good, just wish there was more info. This is by far the best chocolate muffin I've ever had. Its rich yet the taste is not too sweet or overpowering. Really yummy and thick. I forgot the price but its more expensive than timmy's for sure. But definitely worth it. wow that looks good but for $39? eeek.. someone tell me if its worth it? This definitely looks like something worth trying! 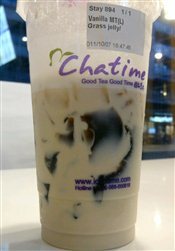 I got the large size and added grass jelly. This drink is very rich and creamy. I can really taste the vanilla but its a bit too sweet. I think next time I'll get less sugar since thats an option. This milk tea is very light and not as heavy as the regular milk tea. I love this with grass jelly! This is literally just milk with grass jelly. Not worth it. But I give it two stars for their delicious and light grass jelly. This drink is really refreshing and light tasting. If you're trying to stay clear of those heavier milky drinks go for this mango juice, its great on a warm days. I saw this on the menu and was hesitant to try it but that looks really cool! This is by far the most delicious flavour of cheesecake that I have ever eaten. The cheesecake is smooth and melts in your mouth. After each bit, I wanted more! 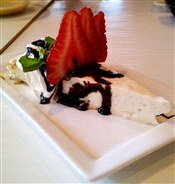 The tofu gave the cheesecake a much lighter taste and toned down the cheesiness. The thin layer of graham cracker crust provided a little extra sweetness and complimented the rest of the cake well. As you can see the cake is decorated impeccably like everything else at sushi queen. This is a definite must try folks! grilled rare with bacon, red pepper relish, arugula, panko onion rings. The tuna melted in your mouth and the relish gave the sandwich a nice twist. I definitely recommend this one. I opted for a salad instead of the fries. is that guacamole? omg that must have tasted sooo good! whoa.. this burger can feed a family lol nice shot! The fish was light and flaky but a bit on the salty side. Wish they had a grilled fish option... that would be great! Very tasty salmon. The best part was the mash potato inside the deep fried springroll. i love green dragon and that looks really good! wow never knew deep fried brie could look so good! wow, this pic makes me hungry!